We have been selling copiers in Albuquerque for years, and yes, we sell used copiers. Some copiers come back to us because people stop paying. 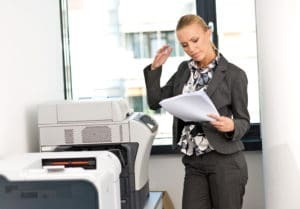 Other times the client was on a short term rental, and of course the most common situation is the client finished the lease and we take the copier back. We believe in the power of choice. Not everyone wants a new copier. Some people want a used copier for ecological reasons, others want used copiers because they need to save a few bucks. It works in either case for us. We have used copiers for rent, for sale and for lease. With the inventory we have, we can work with almost anyone with their copier needs here in Albuquerque. If you have an interest in a used copier, we would love to chat with you. Give us a call and we’ll get you an amazing copier deal here in Albuquerque.